Our installations and repairs are always done with confidence and respect. One of the first steps to achieving a lush, beautiful lawn is the addition of a quality designed sprinkler system, applicable water techniques, and a properly designed maintenance program. 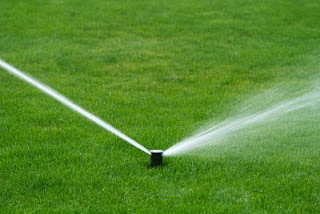 Exceptional Lawn understands the importance to match proper irrigation equipment with the size, shape and type of the landscaping area being watered; every system we install is specifically designed for your lawns needs. Exceptional Lawn utilizes key design fundamentals that assist in developing a strategy to satisfy all your lawn care needs, including irrigation installation, repair and future system maintenance. 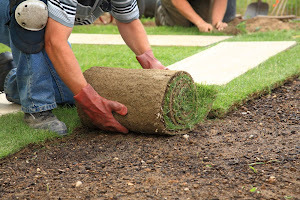 We strive to build your lawn and landscape soil with sufficient water retention for plant growth, while still allowing excess water to properly drain. Since there can be be some disruption to any yard when installing a sprinkler system, our professional installation crew takes every step possible to ensure that your lawn is returned to its original condition prior to project completion. We feel that respecting our customers’ property as if it was our own is just another way we distance ourselves from the competition. We ensure your lawn will continually receive the necessary care and attention it requires to maintain its natural beauty.